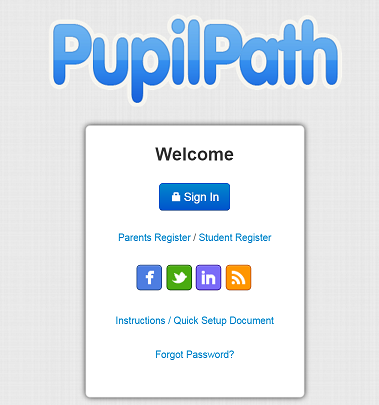 Pupil Path is a student information system for parents and students. 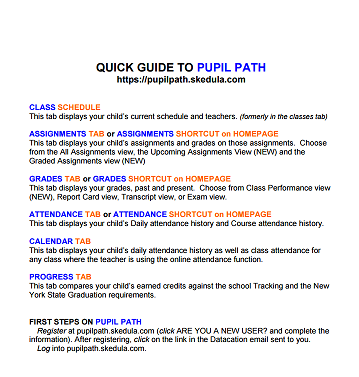 Pupil Path allows parents and students to view important student and school information such as student attendance records, class schedule, assignment due dates and grades, and announcements. Parents are also able to communicate with teachers via this tool. Previous Article Hassle Free Fund Raising for Halsey JHS 157 – SHOPAROO!!! !